60+ Sponsors. 32+ Sessions. 4 Tracks. 3 Days. Listen as Mary Beth Jenkins, SVP & COO at UPMC Health Plan & Dr. Adele Towers, MPH at UPMC Enterprises explain the risk adjustment challenges their plan was facing in their MA and Exchange populations. Together, they discuss how applying new technology improved performance. 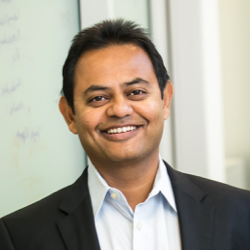 Join Health Fidelity Founder, Anand Shroff, as he discusses how organizations that take advantage of advanced technologies such as natural language processing (NLP) and machine learning are successfully managing the transition to value-based care. Learn how these technologies have been proven to accurately automate the analysis of clinical data and advance your understanding of how to evaluate the applicability of different engines to your specific use case. Please provide the information requested at right. A link with the streaming video location will be emailed to your inbox.